Donal Burke, John Cormack, Kevin Fearn and Frank Muirden. The Club agreed to support this International Committee to the extent of £500. Each member of the International Committee was asked to pick five worthy entrepreneurs who still required some funding to get the Loan they required for their business. Nearly all our Llans are now fully funded. From our list of 30 Entrepreneurs we have helped 12 Groups and 18 Individuals from countries as diverse as Ecuador, Cambodia, Pakistan, Vietnam, Philippines, Malawi, Zimbabwe, Rwanda and Zambia. 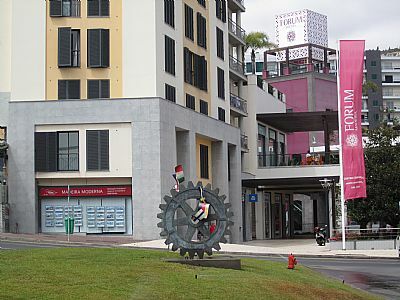 The Businesses vary from farming, poultry raising, retail general house items, clothing, food production, restaurant/cafe. We have helped 187 entrepreneurs, 533 family members and created 66 jobs. We commenced this project in November 2018 added 10 more loans in January 2019 and have received 18 repayments of £12.35 and £9.24 in total to our account. We must remember we are not the only ones to get repaid as there are many others with LendwithCare and also have to be repaid by the Entrepreneurs. Every single loan we make will help give a poor family the means to make a living and improve their long-term future. We might give a man in West Africa a loan to buy chairs and tables for his cafe so he can earn enough to feed and educate his family or provide a mother in Cambodia with a sewing machine so she can earn enough to support her children. 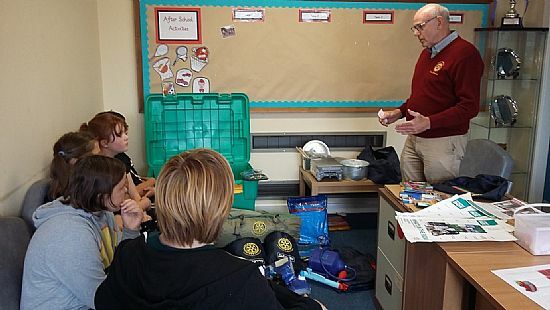 Bob Abernethy and Steve Blackett gave a talk and demonstration about Shelterbox to the “School Advancement Committee” who were five primary seven children. They have been given the task of planning a school activity day to raise funds to buy a Shelterbox. We were given a very warm welcome by the headteacher Jenny Campbell who is very enthusiastic to make Shelterbox an annual funding project for the school. An extra 400 ShelterBoxes have been sent to Pakistan to further assist the people who have fled the fighting between the army and militants in the north of the country. The latest consignment of boxes are in addition to the boxes sent to the region in May and June to help the estimated 2.4 million people displaced by the fighting. They will provide emergency shelter for up to 4,000 people. Madhumita has ambitions to become a doctor. She was originally admitted to Girls Town at Sangram but is now back home helping her family. Her Uncle is now supporting her though her local school. More information to come on Madhumita. Donal Burke is our contact with the Charity. Climate Justice making good progress with a large irrigation scheme at Tapukwa, Malawi. Once completed water to 30 hectacres as opposed to 8. Future Pump Project in North Malawi in partnership with Agri Service Centre (ASC), this organisation offers assets like the irrigation pumps to farmers but on terms they can afford-enabling then to have productive assets now and pay for them from the proceeds of crop sales. Support from United Nations Development Programme to boost irrigation work over the next 3 years, they will match fund everything Malawi Fruits/ Rotary raise to purchase Solar Irrigation Pumps. Steve Blackett is our contact with this project which forms part of our partnership with Malawi fruits for the Tayside Cycle Challenge in early May. Steve as you will see has already visited St.Madoes Primary School who plan to make this Project part of their activities this school year. The Club will be assisting them is their efforts to funs a Shelter Box. More information on Shelter Box elsewhere in our Activities page. We donated £500 last year to this Charity which is Rotary based. Their sole aim is to ensure that Disaster Area have clean and safe drinking water. We have seen recently of many examples of natural disasters, e.g. Indonesia. 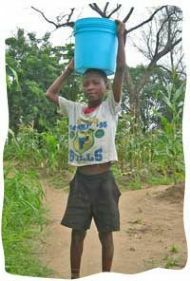 This charity can mobilise and ship potentially life saving water filtration kits to the regions affected. George is the Club contact for this charity. New project- LEND WITH CARE. 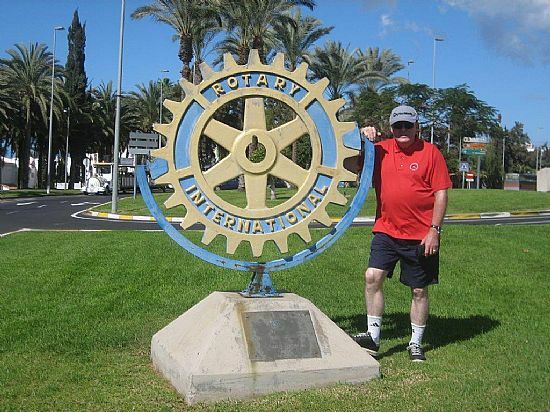 The International Committee would like to support this project which you set up an initial sum, say £500 via the Charities website for Perth Kinnoull Rotary. You then select the Entrepreneurs that have requested a Loan, the type of businesses you could support may be- Opening a Market Stall, Small tailoring business, Barbers business etc. The Entrepreneur request a Loan from a Local MICROFINANCE INSTITUTION (MFI) who are partners with LendwithCare. If their idea shows promise they get the go ahead for the Loan they need to get the business going. MFI uploads the Entrepreneurs profile to Lendwithcare. The Club will then be able to see which Businesses we wish to support. The Entrepreneurs Profiles are updated so you can see how their business is transforming their lives and those of their families. The Loan is repaid in Instalments to the MFI who in turn transfers the payments to CARE INTERNATIONAL. Lend with care then CREDITS the repayment to your LWC account. 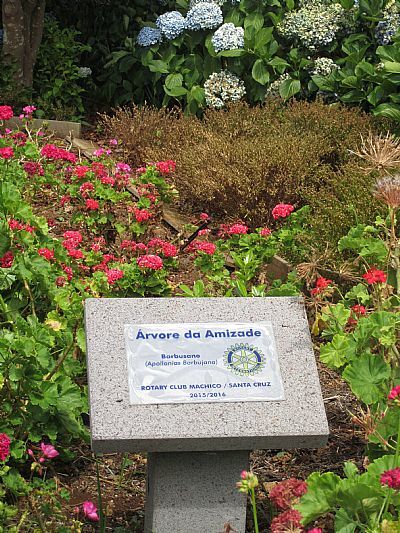 While on holiday in Maderia I came across Rotary involvement on the island and attach a couple of pics. I would encourage all members to consider visiting an overseas Club when on holiday if time permits. Remember to quality for the "Gulliver's Boot" award you have to present one of our banners (located in the President's lecturn) to an overseas Club and to bring back a banner from them. The Rotararian who meets this criteria and who has travelled the furthest will win this prestigous award. respond to disaster relief efforts and rebuilding processes following natural disasters. supporting and contributing to the International Development Programmes of the UN, in partnership with Governmental Agencies such as the Department for International Development (DfID), and other NGO’s in the programmes associated with the Millennium Development Goals (MDG’s) of the UN. liaising and collaborating with other programmes within the RIBI such as Membership Development, The Rotary Foundation, Youth Services, Community and Vocational Development and Communication, strategic goals, in relation to the programmes in Clubs and Districts in RIBI. supporting RI president and RIBI president in their aims for International Service. “When Rotarians are confronted with problems too large to contemplate, they start small and keep going ……… build bridges that last” --- Wilfrid Wilkinson, President Rotary International 2007-08. 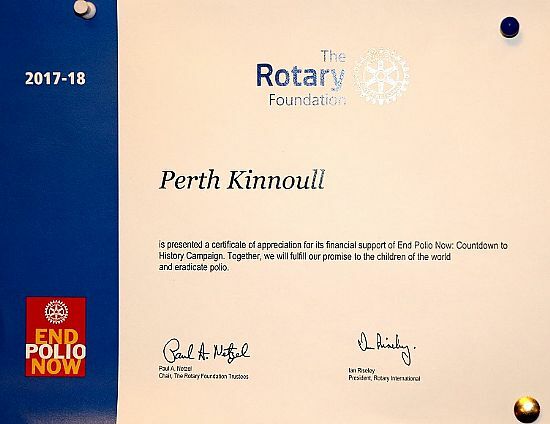 The Perth Kinnoull Rotary Club is committed to Rotary International's Campaign for the Global Eradication of Polio.